By the time this blog is distributed and the close of October is upon us, we are all moving quickly into the November and December holiday season. Downtowns across this country are filled with trucks, cherry pickers, and workers hanging lights on “Main Street” preparing for the holiday season. The holiday season brings a great deal of activity to most homes, businesses, and communities. There are the finishing touches placed on projects to be completed before year end and the fine tuning of plans and budgets for the next year. Most importantly, this time of year brings people together. Whether it is events in the office, the community, or parties in the home, large groups of family and friends gather together. As we continue on our personal journey to build and strengthen our character, the holiday season presents a great opportunity for each one of us to have a positive impact on others. We all know there are plenty of struggles and challenges in our world today. We can debate whether things are more challenging now than in past, but one thing is for sure, our world has become more complex and more intense over the years. 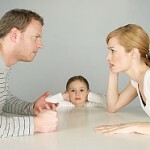 Looking more specifically in our homes, family conflict continues to be the most heart-breaking of all of life’s struggles. Given the central role that families continue to play in our world, it is a place that should consistently garner our attention and effort. I wanted to raise two ideas that I hope will be helpful and encouraging to have a positive impact in the home this holiday season. Like most things that matter, we can’t just “wing it.” We need to be intentional and prepare. Consider this message part of the preparation phase for the holidays. These two ideas can help to build and strengthen our character and have a positive impact on others. (1) A Word of Encouragement. Research on relationships would show we all need about 4 or 5 positive comments to overcome one negative comment in supporting our emotional health. We all seem to be bent on listening more to the negative and tuning out the positive. I am sure if we all conducted an inventory on comments we give or comments we receive, there probably is a deficit on the positives. As we gather together this holiday season, we should focus on speaking encouragement into those around us. Chances are good that those closest to us have been internalizing a little more of the negative than the positive throughout the year. If some poor choices have resulted in this being a very difficult year, there is always the opportunity to speak hope and encouragement into someone for a fresh start into the New Year. If relationships have become so strained because of some poor choices and gathering together is not even a possibility, I would recommend taking a small step and write a letter (a real letter, not an email) and see if the written word of encouragement can be a helpful first step in restoring the relationship. We all could use some encouragement, especially in the home. (2) Tactile Connection. In our digital world, we so often hear that we are “connected” with so many people. “It was great to connect with you” is a common phrase on social media platforms. We have significantly expanded how we describe getting connected as our lives have gone digital in so many areas. Relationship research would show that without physical connection, relationships grow weaker. Without tactile connection, we physically get weaker and our immune system is more susceptible to disease. The reality is that as our world has become more connected with things like the internet, smart phones, and social media, families are actually becoming more disconnected primarily from a physical, tactile standpoint. As we gather together during these last few months of the year, be intentional about making a “connection” with those in the home through a warm embrace and a consistent touch. In addition, where there is a strained relationship, a genuine hug has been proven to be more effective than words as a first step to mend a broken and troubled relationship. Be courageous and take the first step to attempt a genuine, warm embrace. We all could benefit from a warm embrace to strengthen and secure relationships in the home. As we begin planning and preparing for the holiday season, we will build and strengthen our character when we speak encouragement into others and make a physical connection with others in the home. Our Character Creates Opportunity® to build strong, secure relationships with those closest to us. Portage, MI (October 29, 2014) — Harvest Time Partners, Inc., a rapidly growing personal- and professional-development company, announces the launch of a new game as part of its award-winning Face to Face® conversation-game series. 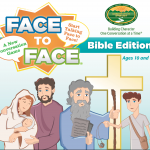 The new game, Face to FaceBible Edition, is part of Harvest Time Partners’ Character Creates Opportunity® brand and is suitable for ages 10 and above. The new conversation game is available for purchase today. This new conversation starter game contains the same easy-play format of the other Face to Face games. The Bible edition contains ninety-six key events from both the Old and New Testaments of the Bible. This new edition is designed to open a door to effective discussion around biblical events and to reinforce the importance of applying biblical principles like sacrifice, courage, and commitment in our lives today. The game helps to encourage open and honest conversations on real-world issues and to develop the critical life-skill of effective face-to-face communication in a world that is rapidly changing how people connect. Face to FaceBible Edition is perfect for small group meetings, Sunday school sessions, and as content support for parents, teachers, and ministers in a variety of forums focused on improving biblical understanding and its application in our present-day lives. The game is available on the company’s website at www.harvesttimepartners.com, on major online channels such as Amazon.com, and through a growing number of retail outlets. Retail orders are available through New Day Christian Distributors at www.newdaychristian.com or by calling 1-800-251-3633. For more information or to discuss additional products and services from Harvest Time Partners, Inc., please visit the company website at www.harvesttimepartners.com. 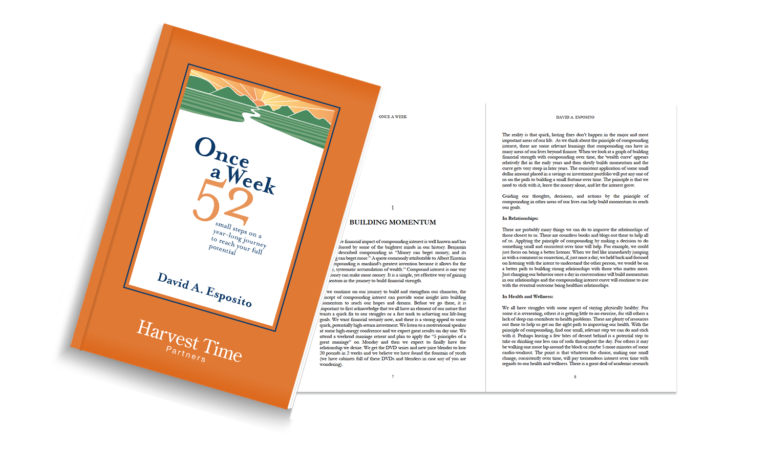 You can also contact David Esposito at (877) 786-4278 or david [at] harvesttimepartners.com. Harvest Time Partners, Inc. was formed over 20 years ago to enable individuals, families, and organizations to reach their full potential in an increasingly complex and unpredictable world through customized, character-building programs and services. The company’s patented and award-winning family-based games have been embraced by families, schools, counseling programs, and faith-based organizations worldwide. They support the development of character and the importance of principle-based decision making—you reap what you sow. Last week’s blog focused on how the typical transitions in life can be great opportunities for personal growth. When we are intentional about learning and growing instead of resisting change through these often difficult transitions, we find ourselves on an effective path to reach our full potential. For most of us, the typical transitions in life come about by just following the crowd in the routine choices of life. Most of us simply follow the crowd. The student transitions through school years and then into the workforce. The transitions into marriage, children, and caring for aging parents all somewhat follow the flow of the typical journey of our modern life. As we discussed last week, these transitions can be difficult, but they also afford us a tremendous opportunity for personal growth. Since there is such a great opportunity for growth in these typical transitions, the challenge for us is to identify ways we can ignite change in our lives during the somewhat steady, routine seasons of life in order to continue to grow or at least not get stuck in a rut. The focus of this week’s blog is on how we can identify and create transition moments in life in order to ‘raise the bar’ in our personal growth and to provide a helping hand in getting out of a rut we have created during times we have become comfortable, settled, and perhaps a bit complacent. We have all heard the expression of the simple truth that “life is a journey, not a destination.” However, for most of us, it is those destination points in life (graduation, a good job, a family, money in the bank) that pose our greatest risk of becoming complacent and settled. Our mindset becomes “I have worked hard, persevered through challenges, learned, and ‘arrived.’ Now I can take my foot off the gas and coast for a bit.” We all know that mindset is a recipe for disaster in the workplace, in maintaining a marriage, raising children, and in any other meaningful role we may play in life. Instead of getting stuck in a rut or risk a disaster in an area of life that we genuinely care about, how can we maintain a desire for personal growth during the routine seasons of life and mimic the opportunity to grow that we find during major transition points in life? (1) Accept the Reality that our current status (a good job, a committed marriage, emotionally healthy children) is at risk if we are not intentional about our own growth. Will Rogers said it best, “Even if you are on the right track, you’ll get run over if you just sit there.” We are at risk the moment we feel we “arrived” on the fresh side of a typical transition point in life. (2) Clarify Intentions. It is important that we clearly decide what we want to become and how we want to act in the many roles we play. “Winging it” sounds cool on the dance floor, but in the really important things in life, we will fall way short of our potential without being intentional with our efforts. (3) Leverage the Natural Rhythms of Life as fresh starts to make incremental changes to improve. Routine points in the year like the start of summer break, going back to school, the New Year, anniversaries, birthdays, holidays, even “Mondays” can be extremely practical and relevant times to declare a fresh start on making a small, incremental change to reach a new goal. (4) Sustainability. For many of these typical transition points in life, we are in it for the long haul. We don’t start and then stop being a parent, or being a son or daughter, and most of us will be “working” at something throughout our lives. Marriages, well sometimes that may be a different story, but our original intention is to be in it for the long haul. We have all probably experienced times when we tried to make massive changes in some area of our lives after attending a “pump-up” motivational event, “re-dedicated” our efforts to something, or a genuinely significant life event (sickness, family break-up, job loss etc.) caused us to “wake up” and try to get on the right track. The data would demonstrate that massive life changing plans usually are not sustainable for any of us over the long haul. What seems to work best is making small, incremental changes over time that builds momentum for us to sustain heading in the right direction over the long haul. Decide on small changes and start making progress. (5) The Crowd We Keep. We often tell our kids how important it is that they hang out with the “right” crowd, not the “wrong” crowd, because for most of us, we follow the crowd. As adults, we don’t always take our own advice. We should seek to connect with those who are encouraging and supportive of heading down an effective path vs. those who bring negativity and apathy on any path. Find the “right” crowd and stick with them, just like we tell our kids. Like most things in life, the choice is ours. We can become set in our ways and find we have created a rut or worse a coffin that limits our potential. Or we can ignite a spark of change during the routine seasons of life so we can continue to grow and reach our full potential. 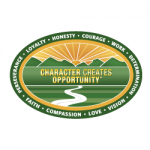 As we decide to continue to move forward in growth, we build and strengthen our character and realize the truth that Character Creates Opportunity® to reach our full potential and make a positive impact on those around us. As we continue on a journey to build and strengthen our character, the topics for the next two blog posts will be around the important opportunity for our personal growth that comes in the form of transitions in life. In today’s post, we will focus on transitions in the typical seasons of life. Next week, we will focus on the need to create transition moments in life in order to continue to raise the bar in our personal growth or as a helping hand to get out of a rut we have created during the somewhat steady, routine seasons of life. Psychologists, counselors, and a fair amount of academic research would indicate that transitions in life can be a major source of stress and anxiety. As students, there is the stress of transitioning from middle school to high school and high school to college and/or the workplace. As adults, the transition of single life to married life, married life to life with children, and then the reversal of roles as children transition to take care of aging parents. In the workplace, we see transitions happen with new leaders joining the team, promotions or downsizing, acquisitions, new markets we enter, etc. that all bring about stress and strain in the workplace. Over a few generations, we have seen our communities in transition from relative safe-havens to places where metal detectors greet us in schools and public buildings and the thought of a child riding a bike across town makes us anxious. The stress and strain in these transitions is unavoidable for most of us. However, with a slight shift in mindset, these transitions offer tremendous opportunity to grow and reach our full potential. The mindset shift occurs when we acknowledge the reality that (a) there will be periods of pain and discomfort in all transitions (b) there is truly no way to turn back the clock to the way things were as life is always moving forward whether we acknowledge it or not (c) embracing these inevitable transitions opens a door to reach out full potential. (1) Gain a broader perspective: As we transition through new experiences, we develop a greater understanding of other people’s points of view, experiences, and approaches which expands our thoughts and improves our decision-making ability. (2) Build resilience and strength for the future: Life will never be free of transitions. We can have confidence in knowing that as we grow through this current transition, we will become stronger and more resilient to deal with the next challenge in our journey. (3) Get a chance to push the “reset” button: Let’s face it…we all make mistakes. When we walk through these major life transitions, we are afforded the opportunity “start again” with the benefits of past learnings to guide us to more effective choices in our new roles and relationships. In dealing with the typical transitions in life, the choice is ours. We can go “kicking and screaming” through these transitions, or we can embrace the chance to build and strengthen our character and realize the truth that Character Creates Opportunity® to reach our full potential. Portage, MI (October 14, 2014) —Face to Face® Kids Edition, a conversation card game from Harvest Time Partners, has been named a 2014 GOLD winner from the National Parenting Publications Awards (NAPPA), one of the longest running and most respected awards programs serving the children and family market. Each year, NAPPA enlists the help of expert judges, parents, and children who evaluate and play with hundreds of submissions to find the highest quality, most educational and entertaining products. Face to Face Kids Edition stood out for its ability to stimulate lively discussions on real-life issues. It helps build the critically important life skill of “Face to Face” authentic communication, encourages a high level of engagement, and reinforces principle-based decision making with the intent of developing a person’s character. NAPPA will reveal its 50 gold winners in select parenting magazines across the country, and release the complete list of winners — gold, silver and honors — at NAPPAawards.com and on the leading family organizational app, Cozi, on November 1. 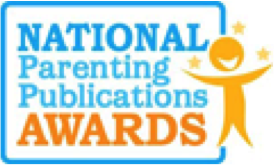 About NAPPA: For more than 20 years, the National Parenting Publications Awards (NAPPA) has been the go-to resource for the best products for families. NAPPA’s team of independent expert judges, along with parent and child testers, select the best toys, games, books and other family essentials to be award winners through year-round product testing. For more information, visit www.NAPPAawards.com. About David Esposito: David Esposito, game creator and managing partner of Harvest Time Partners, was inspired by his experiences as a combat veteran, business executive, husband, and father of four to create resources that remind families about the importance of principles like courage and honesty. In many areas of life, we witness a clear “rallying cry” which serves to energize an individual or group to give their very best and to sustain them when times get really tough. In sports, we find a rallying cry in playing our role and contributing to the team’s effort to win a championship. In the military, we have the mission to accomplish and to “have the back” of the individuals in the unit we serve. In the history of nations, we often hear a rallying cry of some incredible goal like President Kennedy’s declaration in 1961 to send an American safely to the moon before the end of the decade. It is as a result of these types of rallying cries that we often see incredible acts of perseverance and service that we admire and draw some personal motivation to keep moving forward. Not all rallying cries are made of good and just causes for humanity or for things closer to home. Unfortunately, throughout our history, there have been and continue to be rallying cries of evil that carry the same passion, energy, and never-quit mindset that positive, uplifting rallying cries can generate. I am sure we can all relate to times in our lives when we were energized and filled with passion as we followed a certain rallying cry. It may have been playing on that high school sports team striving for a championship. Perhaps it was some activity in school or service project that gave us energy and focus. As working adults, maybe it was the product launch that galvanized the efforts of everyone in the company to give their very best. The rallying cry of parenthood often gives parents incredible energy to stay up for nights on end with a young child who is not feeling well. The fitness goal of running a 5K or even a marathon can be just the rallying cry we need to get back into shape. A rallying cry provides direction for the very essence of our being. When we align ourselves with that direction we find ourselves giving our very best, never quitting, and in most cases, we find the peace of purpose and belonging that is so crucial to our emotional health and stability. As adults, many times we become unmoored and adrift because we have lost connection to a rallying cry perhaps because we (a) let the busyness of life create a fog that conceals our desired direction (b) we gave in to the general flow of adulthood and buried our passion or (c) we never were awakened or reinforced enough to the importance of direction in our life to our overall health and potential. The result is that we often lose energy quickly, fail to give our best, and most definitely fall short of our potential. As we fail to contemplate, articulate, and move toward our own rallying cry, we often hear things like “I am just not happy” or “I just don’t have the energy that I use to”…and the list of phrases goes on and on. As we build and strengthen our character, an important element is for us to define our rallying cry in order to focus our effort and sustain our engagement for the long haul. Some people may describe terms like “mission” or “purpose” in defining our direction. It is not about the terminology or the process, it is simply about connecting and continually reconnecting with the direction we are headed, with what truly moves us into action, and what cause will sustain us through the unavoidable challenges we will face. I think we can all agree that individuals closest to us would be strengthened and encouraged if we reconnected with a rallying cry of service to others, especially in the home. As we reconnect with or perhaps redefine our own personal rallying cry, we will build and strengthen our character and Character Creates Opportunity® to reach our full potential. Mistakes…We have all made them. As kids, we make mistakes in the classroom and get red ink all over our assignments. We make a mistake on the field and our opponent scores. We certainly make mistakes with friends and family as we grow during those difficult adolescent years. As adults, we continue to make mistakes. We make mistakes at work and the business may lose money, make a defective product, or lose a customer. In relationships, we make mistakes around promises made and not kept. We speak-up when we should shut-up, and shut-up when we should speak-up. We make mistakes with our use of time and money. 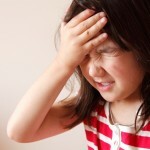 Whether we are a child or an adult, mistakes hurt. For most of us, our mindset is to view mistakes as bad and something to avoid. Mistakes and failures are an inevitable part of life. Mistakes and failures are a necessary part of learning and personal growth. Psychologists and researchers would tell us that almost all learning comes from mistakes. If we are honest with ourselves, the majority of us gravitate towards ease and comfort when things are going well. We only learn and grow through struggles and the tough times brought on by mistakes. On the athletic field, we learn a great deal more when we lose, than when we win. In school, we learn and grow more when we see red ink on our papers. In business, we learn and grow a great deal more when we miss our objectives, than when we hit our numbers. In relationships, we have a tendency to take things for granted when there is perceived harmony, and we are only open to learning and growth when doors get slammed, tempers flare, and we reach a breaking point. When we view mistakes only as bad and something to avoid, we inhibit learning, experimentation, and new ideas that could trigger breakthroughs in the home, the workplace, and our communities. (1) When we make mistakes, take on the mindset of learning and growth vs. anger and regret. We will make mistakes. As long as we live, we will keep making mistakes. Commit to learn something and keep moving forward. (2) When others close to us make mistakes, act to encourage learning and growth vs bringing additional pain. They will most likely experience plenty of personal “pain and suffering” without us adding more salt to the wound. Offering a word of encouragement to learn and grow through a mistake will build trust and dismantle fear which will help to strengthen the relationship. As we begin to view mistakes as opportunities to learn and grow, we will build and strengthen our character and Character Creates Opportunity® to improve relationships and achieve great results.